We wanted to introduce you to someone who has been diligently working behind the scenes of GirlSense & NonSense Magazine for a few months now. 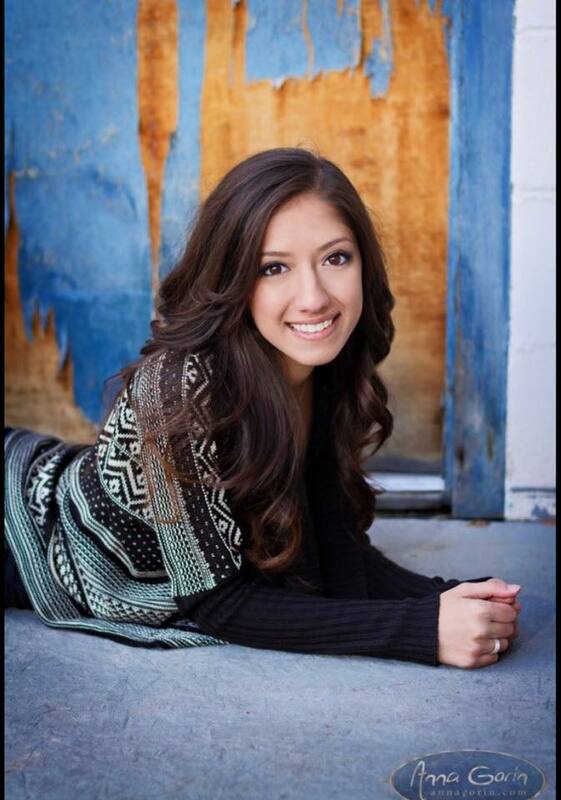 Yasaman Parthor came to us from the Service Learning Program at Boise State (although she’s technically still in high school) with interest in working in marketing and design. She was a great help in designing the Spring Issue and advertising. My name is Yasaman Parthor and I am 17 years old. I am a senior at Capital High School. My favorite color is blue. I don’t have a favorite band or singer because I like so many. How were you involved with GirlSense & NonSense? I did the advertising for GirlSense & NonSense Magazine. I really enjoyed it because I really love what they stand for. I feel like a lot of girls these days don’t have as much confidence as they should because of all the external influences, so I think this magazine is a great confidence booster. Tell us about what you’ve been researching for your English course and how working for GirlSense & NonSense contributed to your research/understanding of your topic. The research essay I did for my English 102 class was about a topic that comes out of my service learning project. My project was working with the GirlSense & NonSense Magazine. I came up with the question, “Why do we need this magazine? How did society get to the point where we need to boost the confidence of young girls?” This is how I got the idea of writing about social media, media, and the effect it has on girls during that young age when they are so impressionable. I found shocking statistics about girls and their mental health, such as girls as young as 10 had already been on a diet. It seems like a 10-year-old should be worried about what to draw for art rather than their body image. I also interviewed my dad who is a psychologist and he really got into the deep part of it. He basically talked about how girls are very impressionable at this time in their life and are very self-conscious. When they see things on media, that isn’t very realistic, they will start to think, “Why am I not like this?” They want to be perfect like those girls and get all the attention that they see. In reality, most of the images on media that is seen, has been photo-shopped. How has social media affected or influenced you personally, as a young woman? I would say that I am a strong and independent woman. I didn’t let images or what people said affect me as much as it usually would when I was younger. But of course, I had my breaking points. I would wish I was like the girls in the magazines, with the perfect skin, the nice body, and beautiful smile. I would look at them and realize I’m not like them. Slowly I started to see that I wouldn’t ever be like these girls because even the girls in the magazine aren’t the girls in the magazine. They have acne, they have bad hair days, and aren’t perfect. It’s all Photoshop. This really made me feel confident in myself in realizing that what I have is enough. My flaws are what make me beautiful. Flaws are what make us different. What advice do you have for girls online? The biggest piece of advice I have for girls online is to never believe what they see or what they read. Half of it isn’t true and they shouldn’t build their confidence and self-image on something that isn’t true. It’s like building a house on air without foundation. Learning to be confident in yourself is a hard thing to do and I know that first hand, but it takes time and strength to get through it all. Giving up shouldn’t ever be an option because where do you get with giving up? The negative things said towards you by someone from your school or even a stranger isn’t something you should listen to either. The weak thrive on bringing other people down. So ignore it, know yourself and your strengths, and work on your weaknesses. Don’t stoop down to their level either and fight them. Don’t fight fire with fire. Instead, be kind to them. This year, I’ve had a group of girls be mean to me for months. Instead of fighting back with hate, I used my kindness. I said thank you when they would hand out papers to me, I would hold the door open, and I would be kind. Over time, it started to fade away after realizing they couldn’t tear me down. You can stand up for yourself without being mean too. I knew who I was and it wasn’t what they were saying. That is what helped me fight through it. It’s about being strong and about not giving up. Thank you for sharing, Yasaman, and for being such a positive force for girls in our community! Young Writers & Artists: Publish Your Work With GirlSense & NonSense Magazine!